Clothing company with years of experience, founded in 2005. Amerskład uses a detailed quality control system starting from the sorting phase. We offer premium quality clothes only. Our clothes are clean, with little wear, no stains or tears. We continously control the type of shipped products and can easily adjust it per your request. All our clothing is manually folded and packed using a wrinkle-free method, preventing any damages during transport. Clothes come in durable bags from 20 to 25 kg. Each bag is labeled with a description and weight. Our clients are most welcome to visit our office and see our products before placing an order. Amerskład is a trading company with years of experience in the clothing business. 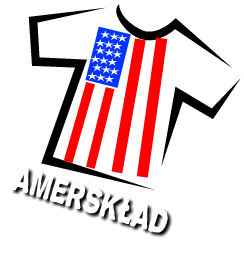 Amerskład is an exclusive and direct importer of American clothing & apparel. As a wholesaler, we are strictly a business to business company. We do not run any retail thrift shops. Amerskład offers its customers the best possible quality products at highly competitive prices. Let us know if you are interested in cheap clothing by weight. We guarantee that your customers will also be satisfied.